We grilled him on fans, following Tennant and Smith, and being a heartthrob. We’re at the BBC’s Cardiff studios, where Casualty, Sherlock and the iconic 50-year-old Doctor Who series are filmed. There is a dusty dalek in reception, the sight of which makes the seven year old in me want to run away shrieking. The courtyard is full of doctors and surgeons in immaculate scrubs, chain-smoking and gossiping – it takes me a minute to deduce they are Casualty extras. Down the corridor, in a gloomy, nondescript meeting room, I find Peter Capaldi. He’s tall, wiry and sharply dressed in a Paul Smith T-shirt, black jeans and black DMs – he successfully lobbied for his Doctor to wear DMs, too. It’s the hottest day of the year and I’m hoping we might be able to sit al fresco and chat over a cuppa but, with his vampiric translucent skin and red-rimmed eyes, he looks like he might disintegrate if I tempt him out into the sunlight. Capaldi is fidgety and treats questions of a non-Doctor Who nature with the kind of disdain you reserve for something disgusting on the sole of your shoe. The problem is that he can’t talk much about the sci-fi show either, as the BBC is notoriously secretive about plot lines. It makes for a somewhat awkward conversation. I worry that, when I try to leave the building, he’ll order that dusty dalek to exterminate me. 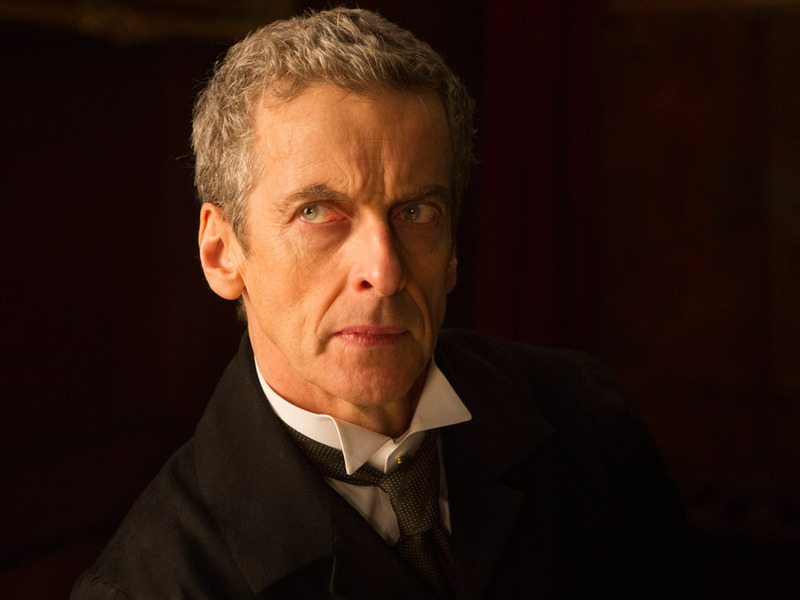 Previously best known for playing potty-mouthed spin doctor Malcolm Tucker in Armando Iannucci’s BBC political satire The Thick of It, Capaldi was announced as the 12th time lord (and Matt Smith’s replacement) in 2013 via a live TV show special. 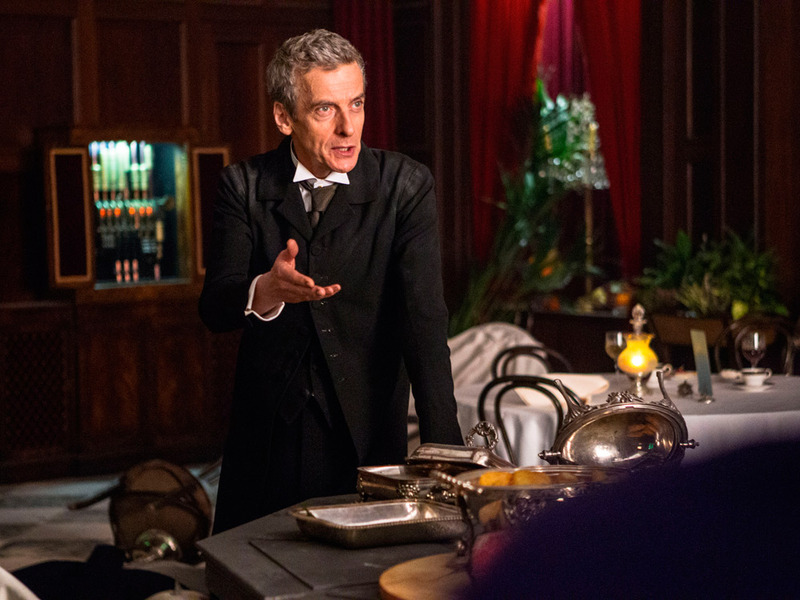 His first series (the eighth in the show’s revival since 2005) was a roaring success; Capaldi helped bring in 9.17 million viewers – the highest ratings for a premiere in five years, and the finale saw 7.60 million viewers tune in – up 100,000 from the series finale with Matt Smith. The ninth series – which just finished in December 2015 – has been all change, with Jenna Coleman who played the Doctor’s assistant for the past three series, announcing her departure in September as the show hit screens. Speculation is rife as to who will be cast as her replacement when the BBC roll out the tenth series in January 2016, but Steven Moffat, the show’s writer and producer has confirmed that Capaldi is going nowhere. His two predecessors have, however, been on hand with some useful advice. ‘They made it clear to me how visible I will become in everyday life. David and I both used to live in [London’s] Crouch End, and some days I’d see him in the supermarket with a cap and shades on, and there’d be nobody there. Then other days I’d see him and he wouldn’t be able to move for fans. He’s said, “That is what it’s like – you just never know. 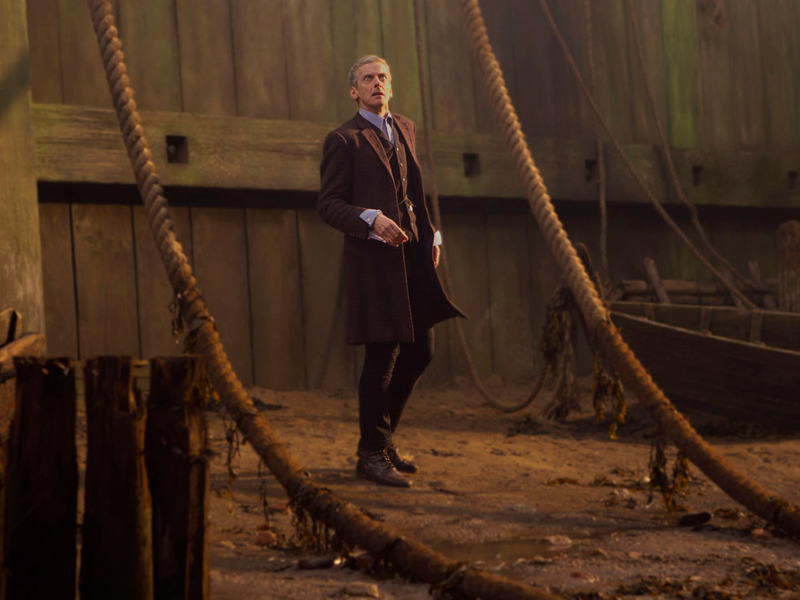 Sometimes it’s absolutely fine, and sometimes you need a helicopter to get out.”’ Capaldi casts his eyes up to the skies, as if he’s willing his own escape helicopter to be hovering overhead. This interview experience rings bells – I met David Tennant when he was newly announced as Doctor Who a decade ago (yes, it’s really been that long). Like Capaldi, he was a reluctant talker, mindful of the public scrutiny that was heading in his direction and unsure how to navigate it. Tennant freaked out when I asked an innocent question about what he does in his spare time – it was as if I’d got out a waterboard. Capaldi does exactly the same. He lives in north London with his wife, writer/actress Elaine Collins, and his daughter Cecily, who I think is in her late teens, but don’t know for sure because he won’t tell me. ‘I go for meals and watch the Game of Thrones box set,’ he says, after a painful pause. ‘I have a fairly normal domestic life.’ Restaurant meals are increasingly interrupted by fans asking for photographs and autographs. He always obliges, but things will surely become more intense. How comfortable are you being in the spotlight? I ask. ‘Not overly,’ he says. ‘But with a role like this, you have a big sense of responsibility – it’s bigger than me. Doctor Who belongs to all the people who love it. [Being in the spotlight] is part of the game.’ Hopefully, once he’s worked how to play that game, he’ll relax a little. 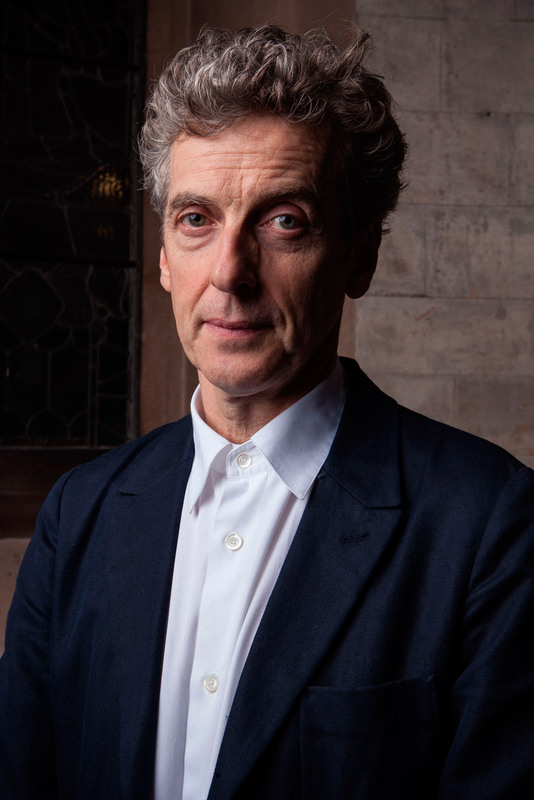 Born of an Irish mother and Italian father, Glasgow-raised Capaldi was a self-confessed teenage geek, although, he says, he became cooler in his twenties. ‘I got into music, I was in a band, I was at art school. I was quite trendy, although I’d hate to meet myself. The over-preening, the pretentiousness, the arrogance of youth! I think, “Oh, that guy was so full of himself.”’ He was the lead singer and guitarist in Dreamboys – an 80s post-punk band, not the male stripper troupe (imagine!) – but dreams of rock stardom gave way to a passion for acting and directing. His breakthrough role came in 1983 in Local Hero by Scottish movie director Bill Forsyth (who also did Gregory’s Girl). A decade later, he won an Oscar for directing short film Franz Kafka’s It’s a Wonderful Life, starring Richard E Grant, as well as his wife. ‘I went to Hollywood after that and spent periods developing films that never got made. It didn’t work out. It was a fascinating experience, but quite brutal. The Americans love you… and then you just don’t exist,’ he says. ‘During those years afterwards, when I wasn’t very successful, I’d look at the Oscar on my shelf in my bedroom and think, they gave that to me for the first thing I ever directed. It helped my confidence.’ Turning back to acting, he played small roles in an array of British TV shows, from The Ruth Rendell Mysteries to Peep Show. 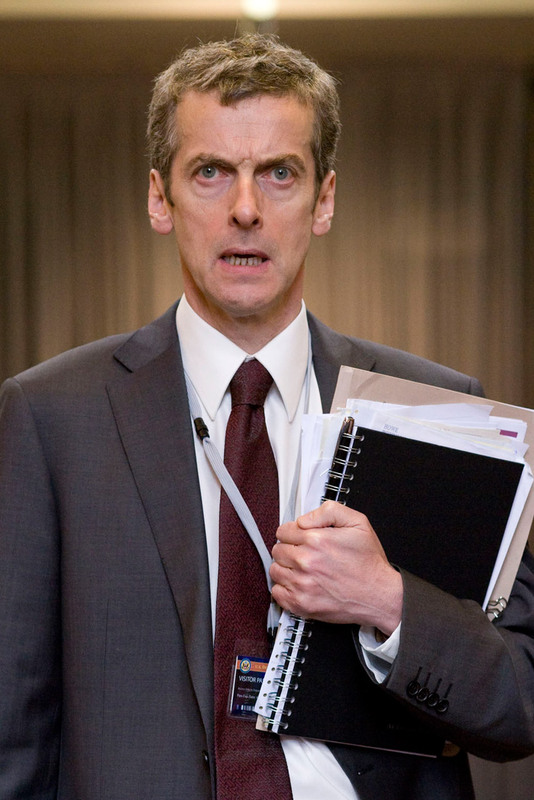 Then, in 2005, along came The Thick of It ’s Malcolm Tucker, the role of Capaldi’s career – before Doctor Who, that is. Thought to be based on Tony Blair’s PR advisor Alastair Campbell, Tucker was famous for his glorious streams of invective, usually aimed as his hapless colleagues. Sample insult: ‘Please could you take this note, ram it up his hairy inbox and pin it to his f**king prostate.’ Or how about: ‘If some c**t can f**k something up, that c**t will pick the worst possible time to f**king f**k it up because that c**t’s a c**t.’ Capaldi may be a little prickly in person, but thankfully he’s not Malcolm. ‘I’m not a big fan of swearing, although playing Malcolm did make me more sweary for a while – it became a verbal tick,’ he says. ‘People would stop me in the street and ask me to tell them to f**k off. I would do it, but it’s not appropriate any more.’ You could imagine the outrage if he got muddled and accidentally told a young Doctor Who fan to do one. It’s a philosophy that will stand him in good stead in the months ahead, should a helicopter not be forthcoming. I turn off my tape recorder and his shoulders visibly drop. He smiles in relief, merrily makes small talk and shakes my hand vigorously. Hopefully this means that dalek won’t zap me on my way out.